ArmInfo. According to estimates of Ministry of Finance of Armenia, the economic growth in 2018 will be 6.7% in 2017, against the previously predicted 4.3% and 3.2% set in the "Budget-2017". Growth in many respects is caused by developments in the sphere of services, construction, and also with the growth of tax revenues. The deflator will be 1.5%, and GDP per capita - about $ 3,799.8. Armenian Finance Minister Vardan Aramyan reported this to Prime Minister Karen Karapetyan. On January 19, the prime minister visited the financial department to familiarize with the results of implementation of the priority tasks and implementation of activities in 2017, as well as tasks for 2018. As the press service of the government reports, Vardan Aramyan noted that in 2017, the goals in the context of fiscal policy in terms of slowing the growth of public debt, ensuring macroeconomic stability and creating a base for high economic growth in 2018, basically achieved. As part of a policy aimed at raising public welfare, the Ministry of Finance pursued a policy of improving the macro environment - fiscal policy, and microenvironments, by improving the efficiency of public finance management. In 2017, emphasis was placed on capital expenditures and a conservative approach was made with respect to running costs. In the line of state finance management over the past year, the Armenian Ministry of Finance implemented 2 groups of actions aimed at improving the discipline of the sphere in terms of simplifying processes and expanding information systems. In 2018, work in this direction will continue. As the minister noted, the role of electronic systems in conducting public procurement has been significantly expanded, thanks to which the number of beneficiaries of the system has almost tripled. Great work has also been done in the direction of raising public awareness, significant work has been done in terms of replenishing the staff of the Ministry of Finance with qualified personnel. As noted by representatives of the Ministry of Finance, the growth in exports in the annual terms for the past year will be 23.5%, imports will grow by about 28%. Transfers to the republic increased by 13.4%, current account deficit at the level of about 4% of GDP. The revenues of the state treasury for the year of 2017 amounted to 1,237.2 billion drams, recording an increase of 5.6% compared to the year 2016. 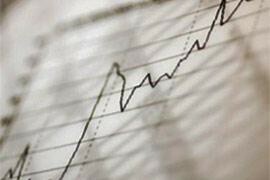 Tax revenues and duties increased by 7.3% to 1158.1 billion drams. Taxes/GDP amounted to about 21.1%, adjusted taxes/GDP 20.8, compared with 2016, fixing growth by 0.5 percentage points. The total expenditures of the state budget in comparison with 2016, in 2017 decreased by 2.2% and amounted to 1417.3 billion AMD. At the same time, current expenses decreased by 1.2%, and capital expenditures - by 13%. The budget deficit amounted to 180.3 billion or 3.3% of GDP, instead of 5.5% in 2016. The head of the Armenian government, summing up the discussion, instructed the Ministry of Finance to take an extremely tough approach with regard to spending planning for 2018. The nominal GDP of Armenia in 2018, according to the draft budget for the next year, will grow by 441 billion - from 5,409.1 billion expected by the end of 2017 to 5,850.7 billion AMD pledged in the project. Economic growth in 2018 is planned at 4.5% or $ 11.948.9 million. In the matter of ensuring economic growth, one of the locomotives is promised by industry and services. The income part will make 1.308.2 billion drams, against 1.210.0 billion AMD approved for 2017 and 1.159 billion AMD actual for the year 2016. At the same time, tax revenue is expected to grow. In particular, the Ministry of Finance expects growth in the line of tax revenues to 1, 248. 5 billion instead of planned for 2017. Meanwhile, according to the results of the current year, 1135.0 billion (93.8% of total revenues to the state treasury), against the actual 1076.9 billion (94.8%) in 2016. 4.5% of GDP will be provided at the expense of industry 1.1%, agriculture - 0.6%, services - 2.2%, net indirect taxes - 0.4%. 12-month inflation by the end of 2018 will be 4%, instead of expected in 2017, 2.4% and actual -1.1% at the end of 2016. Exports will reach 37.4% of GDP, against the projected in 2017 37% and 33.1% in 2016. By the end of 2018, the national debt, with about $ 6.8bln of AMD expected by the end of this year, will grow to $ 7.2 billion and amount to 60% of GDP. Capital expenditures will make 158.7bln AMD, instead of 172.4bln AMD (160bn in 2016), the current expenses from 1.391.8bln AMD will grow to 1.306.5bln AMD.